New Jersey’s attempts to overthrow the federal-level PASPA ban on sports betting within it borders will continue for some time, after all, as both the state itself and the New Jersey Thoroughbred Horsemen’s Association have filed petitions for writs of certiorari with the US Supreme Court in recent days. 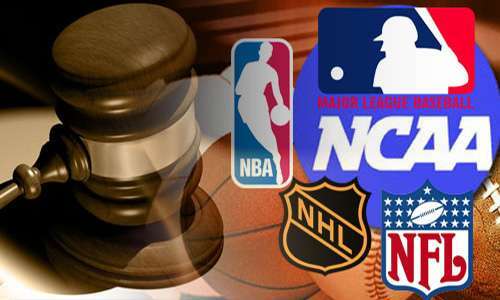 Their combined hopes: To have the US Supreme Court take up the matter of whether PASPA [the US’s Professional and Amateur Sports Protection Act] is unconstitutional ban, in effect commandeering the state’s normal rights pertaining to any and all gambling matters. It’s something of a “same song, another verse” story for New Jersey’s hopes of bringing legalized sports betting to the state. The latest moves follow the state’s defeat on a similar en banc mandate, issued in August by the US Third Circuit Court of Appeals. In that ruling, a nearly-complete assembly of the Third Circuit’s appellate judges opined, in a split decision, that an earlier appellate ruling by a three-judge Third Circuit panel was indeed correct. That decision, in the case of NCAA v. Governor [Christie], left the current PASPA ban on sports betting across most of the US fully intact. Thus sits New Jersey, right where it began five years ago. In 2011, the state’s voters approved by referendum the legalization of sports betting in the state, and in 2014, the state’s legislature passed the approve laws necessary to make the whole enterprise legal. That’s where the major sports association in the US stepped in, suing the state (with the backing of federal officials), trying to keep the ’80s-vintage PASPA edict in place. Getting the Third Circuit Court of Appeals to grant the en banc review was a long shot, estimated at less than 1% by judicial watchers. And getting the US Supreme Court to consider the case now that all avenues are closed is every bit as long a shot. Again, the Supreme Court accepts less than 1% of all cases offered to it for review, even if the issues raised in the war over PASPA’s possible unconstitutionality remain unchanged. The final paperwork in the Third Circuit’s en banc review wasn’t distributed until the first days of September, which is why the latest writs [appeals] are just now being filed. First to file was the New Jersey Thoroughbred Horsemen’s Association, which is closely associated with the state’s Monmouth Park racetrack. “Monmouth Park is an integral part of all aspects of the equine industry in New Jersey. If Monmouth Park is forced to close it will mean the death of the thoroughbred racing industry in New Jersey. Wagering on New Jersey Thoroughbred and Standardbred horse races in New Jersey has waned in recent years resulting in the loss of jobs as well as causing economic distress to the equine industry in New Jersey, especially to Monmouth Park. The NJTHA believes that sports betting is an essential component of the NJTHA’s overall plan to make Monmouth Park an economically self-sustaining Thoroughbred Racetrack, better able to compete with racetracks in surrounding States that are bolstered by casino revenues. The New Jersey equine industry is critical to New Jersey’s economy and the preservation of open space in New Jersey. In a Report, prepared by Karyn Malinowski, Ph.D. of the Rutgers Equine Science Center, it was concluded that if racing-related and breeding farms in New Jersey were to cease operations it would have a $780 million negative annual impact, put 7,000 jobs in danger, eliminate $110 million in tax revenues, and leave over 163,000 acres of open space vulnerable to future development. The competitive disadvantages created by PASPA’s exemption, in favor of four (4) States (especially Nevada and neighboring Delaware), from PASPA’s prohibition against State authorized “by law” sports wagering has combined with other factors to put the New Jersey horse industry, and Monmouth Park in particular, at such a severe disadvantage that the economic viability of the New Jersey horse industry and Monmouth Park has been and continues to be seriously damaged. The only business revenue stream that can save Monmouth Park at the present time is revenue from sports betting. While Monmouth Park suffers this significant injury, the Leagues continue to reap enormous profits on daily fantasy sports – wagering based on the performances of players in the Leagues’ sports contests – where the Leagues are actively promoting such betting and/or owning daily fantasy betting platforms that are now authorized by law in numerous states despite the fact that PASPA may prohibit daily fantasy wagering. PASPA purports to make it unlawful for States to ‘authorize by law’ gambling on sports. 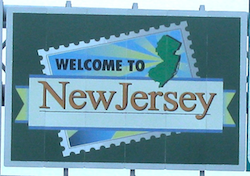 In three divided, irreconcilable, and fundamentally incomprehensible decisions, the Third Circuit rejected New Jersey’s challenge that PASPA unconstitutionally commands how it regulates such gambling within its borders. This federal takeover of New Jersey’s legislative apparatus is dramatic, unprecedented, and in direct conflict with this Court’s Tenth Amendment jurisprudence barring Congress from controlling how the States regulate private parties. Never before has congressional power been construed to allow the federal government to dictate whether or to what extent a State may repeal, lift, or otherwise modulate its own state-law prohibitions on private conduct. And never before has federal law been enforced to command a State to give effect to a state law that the State has chosen to repeal. Responses to both petitions are due in November from the sports leagues, which triumphed in the lower-court rulings. Typically, several moths elapse before the Supreme Court announces whether or not any given case will be selected for review.